When I was pregnant, I craved Butterfinger Blizzards from DQ. I never eat them now but when I saw a package of Butterfingers, my baking wheels started spinning, so I had to try a sweet treat of some kind seeing as I have a house full of boys who love butterfingers! These were such a hit, they were all devoured within 24 hours. This recipe is old but love pulling it out from time to time, ya know, when the craving for a Butterfinger hits. I am all about substituting ingredients to make these babies less calorie laden. And guess what, you cannot even taste the difference. My husband even thought they were better this less fat and calories time around. Now, let me tell ya, there is bliss in less calories!! What you'll need-the I Can't Believe it's Not Butter sticks are terrific, tender baked goods every time!! 1/4 cup melted (1/2 stick) "I Can't Believe It’s Not Butter"
Preheat oven to 325 degrees. Line a 9x9 or 8 1/2 x 11 square dish with parchment/waxed paper and set aside. Grind nutter butter cookies in a food processor until the consistency of graham cracker crumbs or be like me and put them in a gallon bag and smash with a meat mallet. Pour in melted butter and mix. Press into prepared dish and set aside. In a large bowl, whip cream cheese and sugar together until smooth. Stir in egg, vanilla and flour. 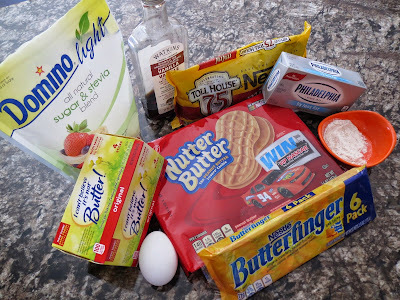 Finely chop butterfingers and fold into the cheesecake mixture. Pour over top nutter butter crust and bake for 18-22 minutes or until cheesecake has set. Cool to room temperature, then refrigerate until completely chilled. Pour chocolate chips and butter into a small bowl and microwave for 20-30 seconds. If your chocolate is almost melted, don't put it back into the microwave, just keep stirring, the residual heat will melt them. Spread melted chocolate on top of the bars evenly and place back into the refrigerator 5-10 minutes to harden the chocolate. Remove from refrigerator and using the parchment, remove the entire block of bars from the pan. Cut into bars and serve. I like to cut into 36 small bars. Store in the refrigerator. Grab one quick, they'll be gone before you know it! P.S. I am so honored to be the Blogger Spotlight over at KitchenThy.Me. Go check it out! 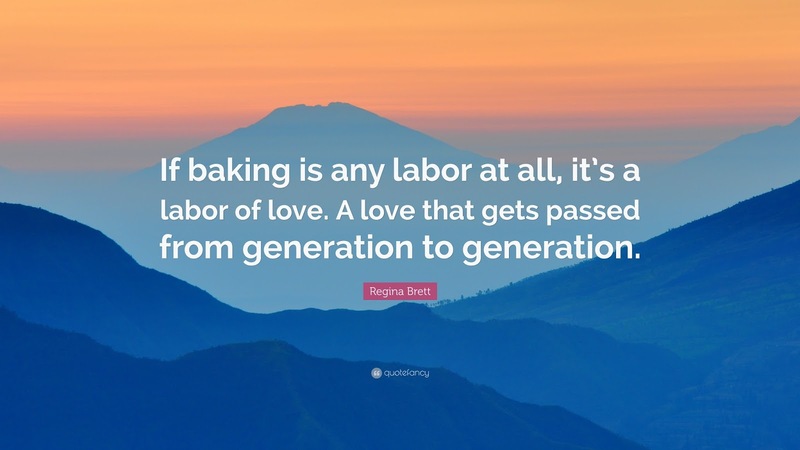 Lots of Great recipes on that site! Oh yum!!! Girl, you are bad for my waistline but good for my heart, lol! These look so very yummy I need to try them. I am so thrilled you are featured on another blog and I am heading there now to check it out and show you some love friend!! Yay for being featured!!! You are the girl. 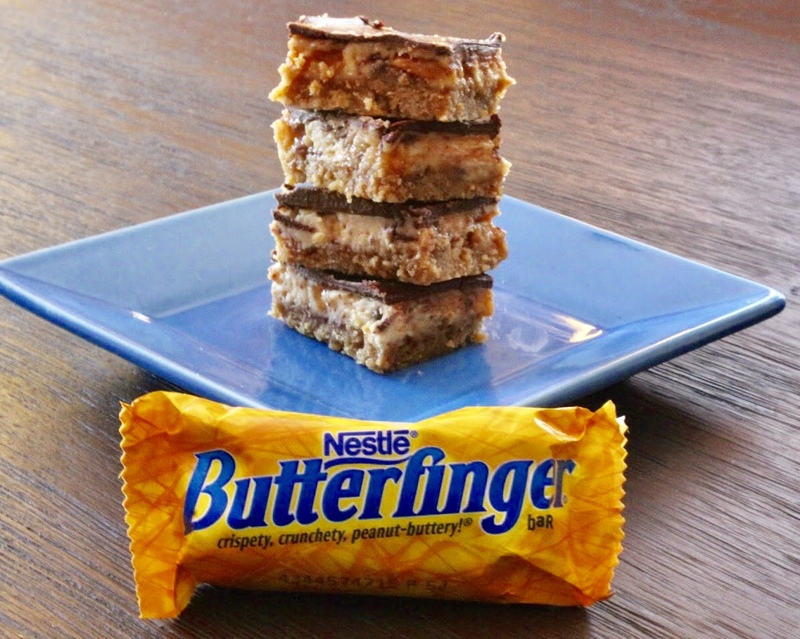 Not a huge butterfinger fan, but this looks delicious. Oh My Word! We are eating light here at our house right now but I'm saving this recipe. Anything to do with Butterfingers has to be amazing. Hey Andrea! 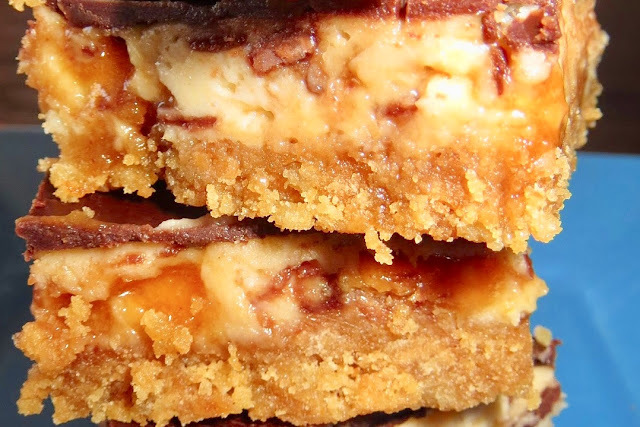 Your BUTTERFINGER BLISS BARS look amazing! You can't beat that peanut butter and chocolate combo! Your desserts always look amazing! Lucky boys in your house!! I love Butterfingers and you've taken them to a whole new level with these bars. And my mouth is watering! I love that you used Nutter Butters for the crust, and I’m all for making small changes to save on calories! Bliss is what I feeling looking at these - looks DELICIOUS! These look so decadent and yummy! Can I have one for breakfast? Haha. Holy cow this sounds so delicious! I love butterfingers and I love that you lightened it up! I forgot my breakfast today and now I want one of these stat! You had better believe I will be making these soon! My family loves anything with peanut butter! I find sometimes recipes taste better with lighter ingredients as well. I made oreo fluff the other day and had to use the regular pudding mix. It was so much more sweet we didn't like it as much! Oh my goodness, bliss for sure! I love butterfingers. Oh Lawd, Andrea... you're killing me. I just finished a WW ice cream and now I am not in the least bit satisfied after looking at those butterfinger treats. Hope you have a great week. Um, seriously. 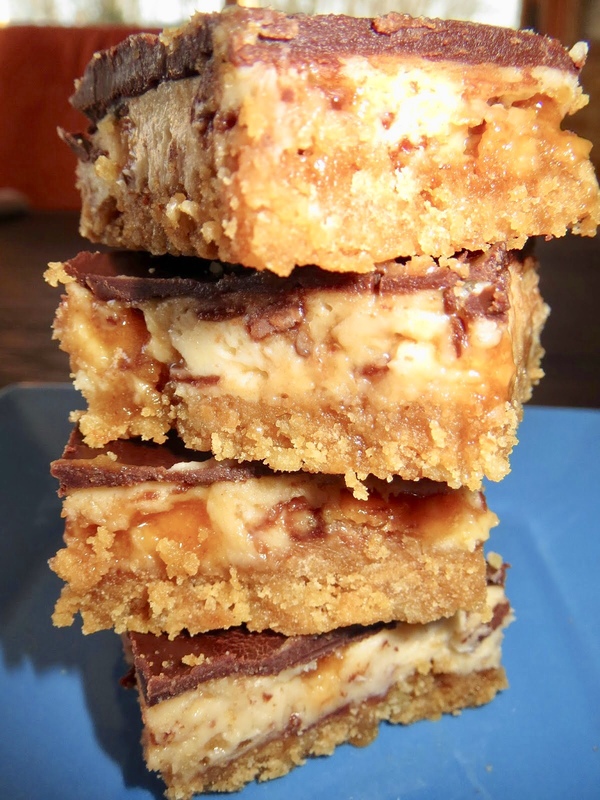 You are KILLING me with all of these yummy bar recipes. Especially when I just want to make the salted caramel ones again and again... I love butterfingers, these sound just perfect! Oh, my goodness, these look sooo good. I have copied and pasted the recipe and will be making them soon. I'll thank you for the calories! :o)) But, at least you cut the calories a bit. Glad to be back visiting in blogland. Happy Easter week my dear! Oh my! Those do look amazing. Pinned and I can not wait to try. Oh sweet Jesus....those look amazing!! Oh my goodness! Those look wonderful. My daughter loves Butterfingers, I'll have to try these! 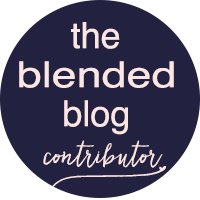 Congratulations on being blogger spotlight at KitchenThy.Me! What a great honor and honestly with recipes like these, I don't see why you wouldn't be. You recipes are so easy to follow and the final product are always so yummy to eat. I am a big fan of butterfingers and I can't wait to try this recipe. Oh my goodness, I am in love with these at first sight. They look so good! Thanks for sharing on Foodie Friday! Our whole entire family would love these!! They sound amazing! Oh my goodness, these look AWESOME! 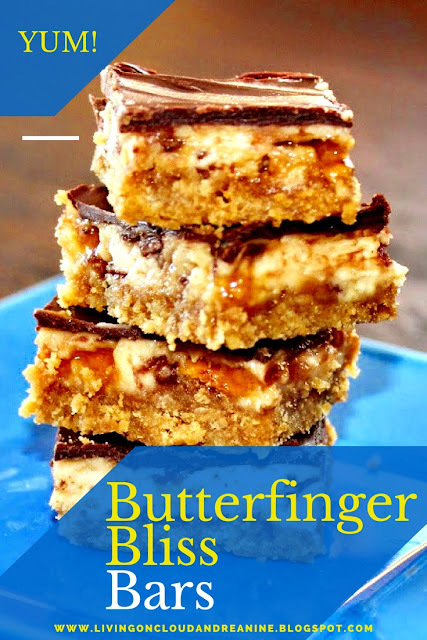 Butterfingers are my favorite--I've got to try these! Yep, another recipe of yours I'll be printing out! These look nice, gonna save the recipe! :) We get Butterfingers in the UK and I like them. P.S. Sorry for posting twice, wrote something wrong! Mmmm...Butterfinger is my favorite candy bar. Thanks for sharing at Celebrate365!